The Starr County Democratic primary elections of Tuesday, March 2 was highlighted by a razor-thin District Clerk race in which the incumbent held a lead of 88 votes out of more than 6200 cast after the counting of votes was complete. The vote count indicated that Eloy Garcia, seeking re-election to a second term as District Clerk, garnered 3169 votes to 3081 for challenger Dave “Chachi” Jones. Garcia gained 50.7 percent of the votes cast to 49.3 percent. As of late last week, it seemed a strong possibility that a recount would take place in the District Clerk’s contest. On Thursday, March 4, District Attorney Heriberto Silva indicated that his office and the Texas Rangers are investigating an issue involving mail-in ballots. 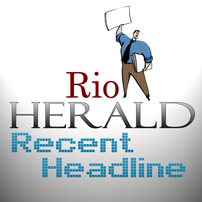 The Rio Grande Herald will print more information about the mail-in issue in the near future. Voting in the Precinct Seven Justice of the Peace race resulted in a runoff scheduled for April 13. Incumbent Johnny Garcia received 180 votes to 121 and 106 for challengers Julian Gonzalez, Jr. and Raul Vidal. As the challenger receiving the most votes, Gonzalez qualified for the April 13 runoff. Garcia received 44.33 percent of the vote to 29.80 for Gonzalez and 25.86 for Vidal. There were three other contested Justice of the Peace races. Precinct Four incumbent Homero Garcia defeated challenger Martin Martinez by a margin of 1091-655, or 62.5 percent to 37.5 percent. Precinct Six incumbent Ramon De La Cruz defeated challenger Jorge Bazan by a count of 722-547, receiving 56.9 percent to 43.1 percent for Bazan. Precinct Five incumbent Antonia S. Trevino won an overwhelming victory over challenger Francisco Herrera by a margin of 240-44, or 84.9 to 15.1 percent. In statewide races, Bill White, former mayor of Houston, carried Starr County with 1888 votes to 1549 for Farouk Shami, his closest challenger. White received 43.35 percent to 35.57 for Shami. Felix (Rodriguez) Alvarado garnered 569 votes, or 13.07 percent. White easily won statewide with over 70 percent of the vote. He will go on to face incumbent Republican Governor Rick Perry in November. Perry defeated challengers Kay Bailey Hutchison, an incumbent U.S. senator, and Debra Medina in the Republican primary.